Designed exclusively in house by Abaya Central for Abaya Central. These extremely loose fitted abayas or more traditionally known as ‘bisht’, have been given a feminine touch through colour and style. 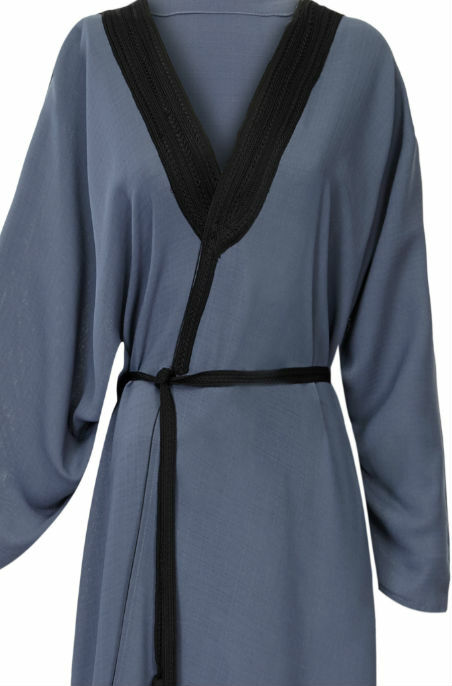 The colour is beautiful bluish grey with a striking black lace around the neck and a matching waist belt. 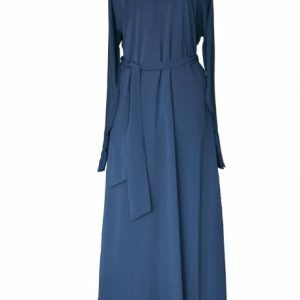 The cut of the abaya is very modern. 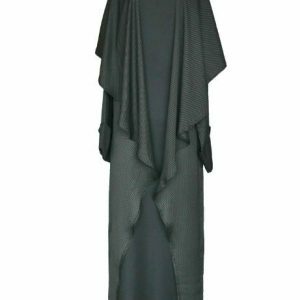 The extra wide style makes this a perfect luxury piece that you can wear over any attire, open or wrapped. The choice is yours. The arms fit nicely at the wrist not too loose nor tight. The lightweight material drapes really well. 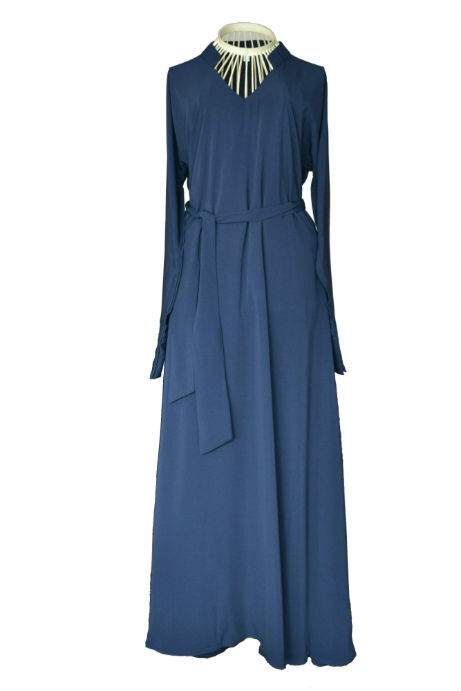 If you love the generous loose-fitting silhouette, then this elegant piece is perfect for you. Style this in a variety of way. Options are endless. We test drive our abayas before we bring them to the market. We practically live in them, no joke! We understand the busy schedule of our customers and lets face it, no one has the time to dry clean daily wear. 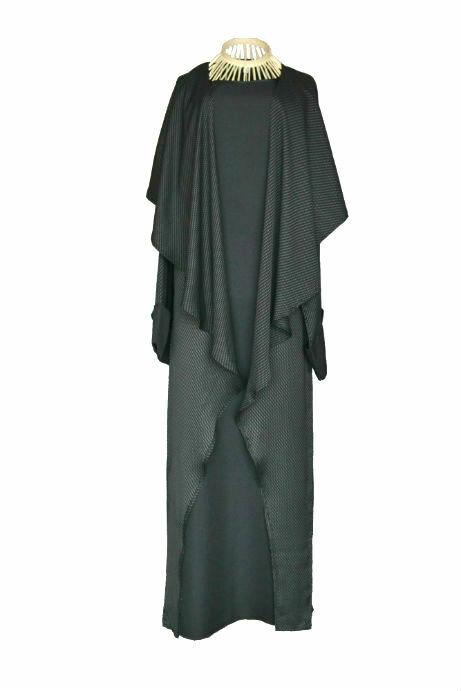 Our abayas (unless stated ) do not need to be dry cleaned. For abaya care visit our faq’s. All our abayas are made with the highest quality material. In the middle east there are many materials available that have very similar textures, but seldom have the same quality. 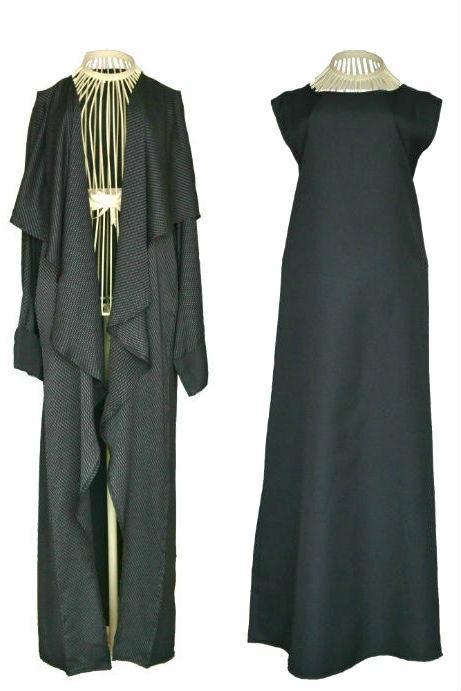 The materials that is used in our black abayas is soft, flowing and very light. Extremely comfortable to wear and durable. Delivering this abaya uk, eu and other countries we make sure quality is not compromised. All deliveries are tracked and a tracking number is provided to our customers so they can check when the abaya will be delivered. Delivery is quoted at 3 to 5 working days. It you should need your garments urgently, please let us know and we will do our utmost to ensure you get it on time.